Got a bad case of cabin fever? Want to socialize in a competitive manner? 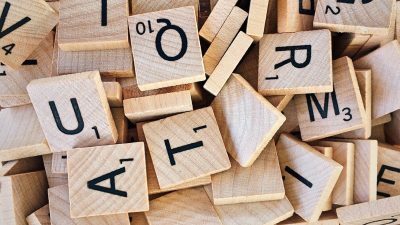 Sign up for our first Scrabble Tournament at TADL, held on Sunday, February 24th from 1:00-4:00 p.m. This is an individual event where each person plays at least 2 rounds. Top scorers will enter semi-final and final rounds. As of 2/12/19 this event is full to capacity. Who knew so many people liked Scrabble? There may be room the day of the event if some people aren’t able to make it, so take a chance if you want but no guarantees. Thank you!